Saturday (yesterday) was the first time in quite a while that any work was done on the locomotive. While running it earlier in the month, I noticed that one of the 2 main reservoir drain valves was not working. Their purpose is to keep condensation from building up in the air tanks. 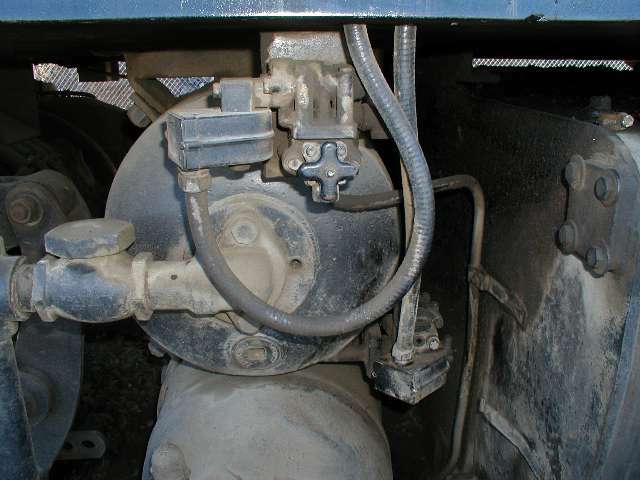 The valves are operated by a timer located in the electrical cabinet. 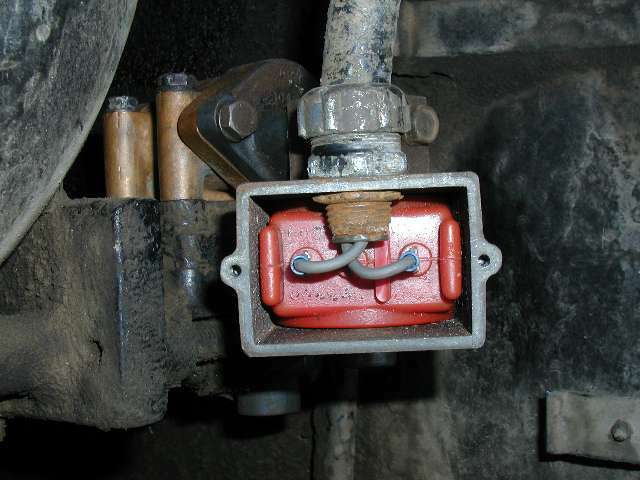 The timer sends power to a solenoid which operates a valve within the assembly. 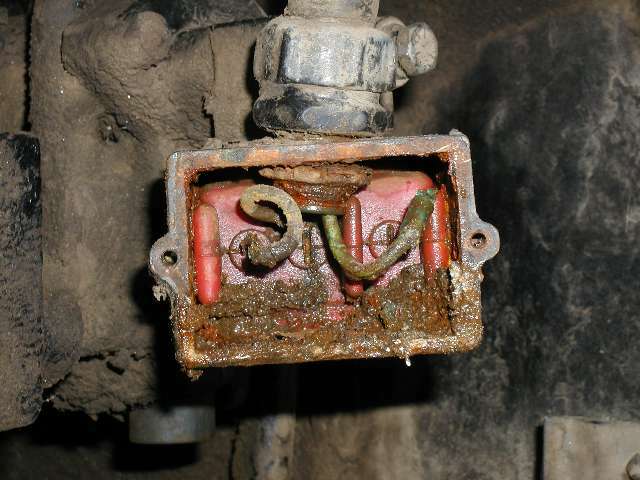 Usually, their failure to work is caused by dirt building up in the solenoid chamber but in this case, the coil housing on the valve was found to be full of mud and the wires were burned off of the electric coil located within. The thing was in such bad shape that I elected to simply change it out for a rebuilt assembly. 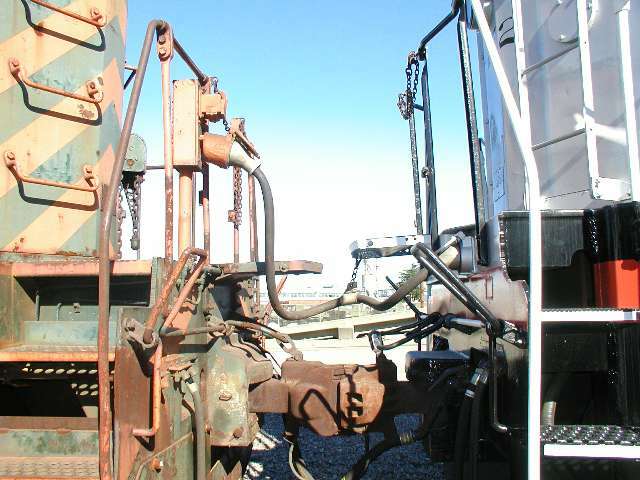 After that was done, the engine was started, air pressure built up and all seems to work as required. For some time, the 5472 has been coupled to the WP713 with the air lines and electric MU cable connected. 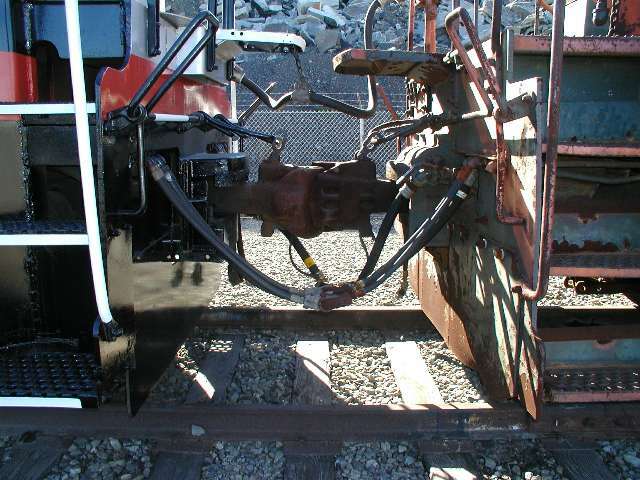 Jon Vlasak and I did this a while ago in order to test the MU on both locomotives. It may never happen again but for the moment, it is an interesting sight.